Nathan Siddle is scanning a large collection of specimens for his school. The goal: creating new teaching tools for the classroom – with Sketchfab. Learn about his approach and how he processes his materials with Agisoft Pro. Hi Everyone! My name is Nathan, and I’m a graduate geologist. Several months ago I started working as part of a small team at the University of Queensland’s School of Earth Sciences to create virtual teaching materials using photogrammetry techniques. While I had played around with photogrammetry software in the past (123D catch), I only started using Agisoft in July last year (this was also my first time using a DSLR camera). After working through the beginner’s tutorials on Agisoft’s website, and watching a few Youtube guides, I set out to create a 3D catalogue of the school’s teaching collections. The specimens that I have worked with were obtained from a variety of sources: the university mineral museum, professors’ personal collections, and some from my own collection. They mostly come from Australia (with most of the paleontological specimens being sourced from Queensland), but a few were collected from locations around the world. Digital scans of geological specimens provide a unique and useful teaching tool in the classroom, giving lecturers the ability to digitally manipulate samples to emphasise locations of interest in front of an entire class. It gives students the ability to freely view specimens which are either too delicate to be handled, or are too limited in number to be adequately studied during practical classes. It also allows collections of specimens to be shared with other educational institutions, such as public schools. Photogrammetry techniques also allow us to create high quality models of rock outcrops from field sites, making it possible to create virtual field experiences, essentially bringing the field to the classroom. Of course it is worth noting that at the end of the day, nothing beats venturing out into the field and studying these things first hand. This is a scan of a calc-silicate mineral called epidote, with the image on the left showing the positions of the aligned cameras, and the image on the right showing the corresponding ‘sparse point cloud’. I usually use High level camera alignment, with a key point limit of 100,000, and a tie point limit of 10,000. On the odd occasion, some or most of the cameras won’t align properly. I have only noticed this happen in specimens that have either very simple and symmetrical geometry, or are very ‘flat’ (such as shale cast fossils and half mandibles). In most cases, this can be fixed by forcing certain rings of cameras to realign. After producing the dense cloud, some minor ‘cleaning’ is often required (this step could possibly be avoided by masking images prior to processing them, or using adequate lighting during photography). Clusters of light grey to white points often appear at the edges of the subject. These tend to be more common when working on flat or tubular specimens, or if noticeable shadows appear around the base of the subject in several photographs. In some cases, where the points aren’t connected to the subject, cleaning is relatively painless (such as the image to the left), however, for some subjects such as the one on the right, it can be a little time consuming, as the unwanted points are protruding directly from the edges of the object. Subjects such as this epidote specimen (shown in the images below) can prove difficult, as the numerous prismatic crystals create a lot of small occluded spaces that can’t be modelled. While the dark green epidote crystals are just detailed and opaque enough to model with an acceptable degree of fidelity, some of the small, clear, quartz crystals did not survive the process. I tend to process my models on high settings for archiving purposes, but when exporting for upload to Sketchfab, I decimate the mesh to 300,000 faces, with a 4096×4096 texture. The processing time generally depends on the number of photographs used to produce the model (my models are generally produced from between 75 – 100 photographs, depending on the size and complexity of the sample). It usually takes around 5 to 7 hours to process the models (from aligning the cameras through to generating the mesh and textures). Models made from over 100 photographs tend to take even longer. Depending on the workload, I generally have several models processing at the dense cloud stage simultaneously overnight. One of my favorite things about Sketchfab is some of the finishing touches I can add after uploading the model. I typically use the sharpness setting under Post-Processing filters (setting it to around 25-30 on the slide bar), as I find the textures Agisoft produces to be a bit on the blurry side. Occasionally I’ll adjust the specular settings to give the model a more realistic appearance (giving crystalline specimens a slightly glossy lustre where appropriate). I have created simple specular maps for some specimens, but as I have little 3d modelling experience, these tend to be crudely done in Photoshop and Paint. In the case of one of the Giant Wallaby jaw specimens I scanned, I produced a simple specular map by loading the texture file into paint, blacking out everything that wasn’t tooth enamel, and adjusting the specular settings in Sketchfab until the teeth had a slightly more ‘realistic’ appearance. So far I have tried to avoid specimens that are glossy or reflective (which tends to be rather difficult when scanning in mineral specimens, where the more brilliant, well crystallized samples tend to be either highly reflective, translucent, or some combination of the two). A polarizing lens filter may prove helpful when trying to scan some of the glossier samples. For the most part, sample size hasn’t proven to be too great an issue, as the majority of my subjects tend to be within the 1” to 12” range, with the exception of a few larger samples that were just over a foot across, and the mandible of a rat (which was a little over a centimeter in length). While I have spent most of my time scanning geological and paleontological specimens, the other students that I work with have focussed on scanning the bones of native Australian wildlife and some artifacts for the University’s Archaeology Department; their work can be viewed here. The techniques they use to capture their subjects are largely the same, however the issues they have encountered and the methods they have used to combat them are somewhat different. While shiny minerals, and resinous looking rock and mineral specimens give me a hard time, bleached or cast resin skulls can be equally as problematic to scan. A weathered skull or bone may contain enough detail to give Agisoft an adequate amount of reference data, but a fresh, bleached white skull, with healthy teeth, can be quite a pain. 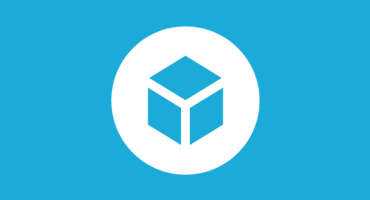 Sketchfab provides a great platform to upload and view the 3d scans I produce, allowing them to be easily shared and viewed across multiple platforms (with privacy options available for ‘research sensitive’ specimens), and providing a user friendly and intuitive upload interface. Well written! Thank you for sharing and recording your methods. I look forward to starting our collection based on your approach, and using Sketchfab to host. I have one question regarding scale. Have you experimented with scaling objects from a reference so others could measure?